The Louisville personal injury attorneys of Murphy & Associates PLC have assisted many personal injury victims involved in automobile accidents. 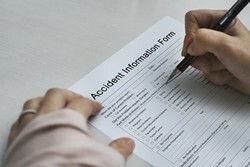 Our injury attorneys are licensed in Kentucky and Indiana. The laws for automobile accidents vary between states, and it is important to have an attorney who knows how to handle each claim or lawsuit individually. Motorcycle accidents can be extremely devastating. A motorcyclist is exposed and at risk to the poor choices of other drivers on the road. In Kentucky, PIP laws can have unintended consequences for motorcyclists who may be left without coverage for the first $10,000.00 in medical bills. The injury attorneys of Murphy & Associates have experience with cases involving motorcycles and have the knowledge and experience to help those injured in an accident receive a full and fair recovery. Dog bites can be especially devastating injuries. The damage done by a dog bite often leaves permanent scaring and can be difficult to heal. Issues with dog ownership and containment can be troublesome to sort through. Often the owners of the most dangerous canines, do not have insurance to cover the damage these dogs inflict. When faced with the injuries from a vicious dog, it is important to have attorneys who understand the law as it relates to who can be held responsible for the injuries from a dog bite. Business owners have a duty to keep their properties safe and not cause the public to be harmed by unsafe conditions. The injury attorneys of Murphy & Associates PLC only represent clients who have been seriously injured by someone else’s negligence. Not all slip and fall cases meet our stringent case screening requirements. However, when it is clear that a property owner knew that the conditions they created would hurt someone, and serious injury results, the attorneys of Murphy & Associates PLC fight for the rights of that person. Brain injuries are extremely devastating. Often those with brain injuries do not understand how they have been injured. There are many signs of a brain injury, and the effects can be life long. It is important to chose and attorney who understands brain injury and has represented numerous clients who have suffered from similar injuries. The attorneys of Murphy & Associates PLC regularly have multiple brain injury cases at any one time and are very familiar with the issues involved in these cases. Murphy & Associates PLC offers supportive representation to assist those with brain injuries and their families in understanding these injuries and receiving justice for what they have lost.